A D.C. councilmember wants to make sure that anyone who eats out in the District knows exactly what is being served -- especially if that includes a side of salmonella. Councilwoman Mary Cheh has introduced a bill again this year to require the health department to assign letter grades to restaurants based on their health inspections. Under the Restaurant Hygiene Transparency Act, those eateries would then have to post those report cards in their front windows for prospective diners to see. If you feel like you’ve read this story before, you probably have. This same proposal sparked considerable conversation last year, but it was voted down in committee, and never made it before the full Council. But Cheh said restaurants need more accountability, and D.C. diners deserve to know what’s going on their plate. Similar bills in other cities, she said, have made a real difference. “In Los Angeles, after they did this, they assessed its effectiveness, and there was a reduction of over 13 percent in food-borne illnesses,” Cheh said. Cheh said the report cards are not meant as a punishment; restaurants that received a favorable grade would be rewarded with an "A" on their front window. 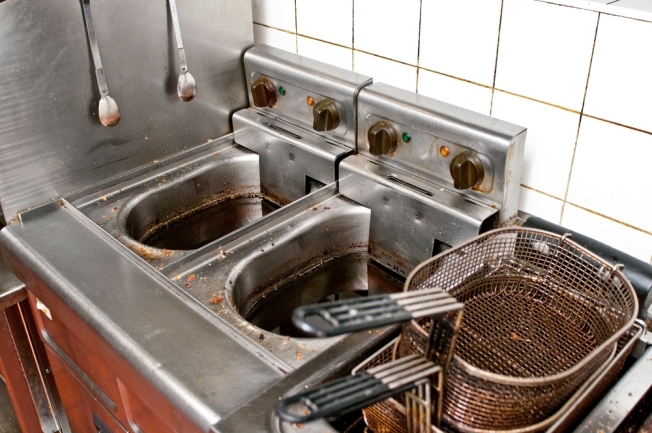 Currently, if diners want to check on a restaurant, they can read health inspection findings on the health department’s website. And if you want to check out which restaurants rank best in the D.C. area, check out TheFeast.com.